A few weeks ago, I was obsessed with buying a waffle maker. I had the heart-shaped waffles in mind that I remember from my childhood in Germany. No luck with such, but instead I found the square ones with exchangeable plates – it’s one machine: either use it to make waffles or to grill a sandwich! I am not a big fan of sandwiches as I’m trying to wave goodbye to gluten, but it just occurred to me that I could grill meat in it, too! 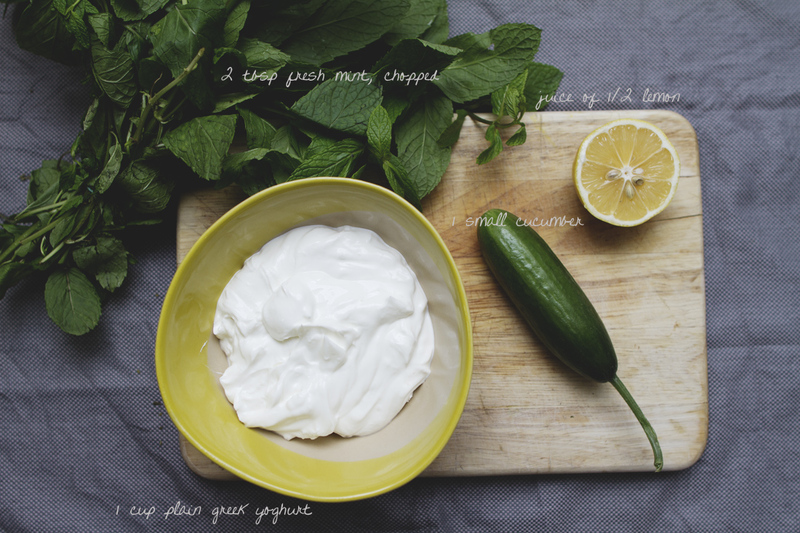 So after 5 months of living in Istanbul – finally, here we go with a kebab recipe! Grilled in the waffle iron turned grill! 1. 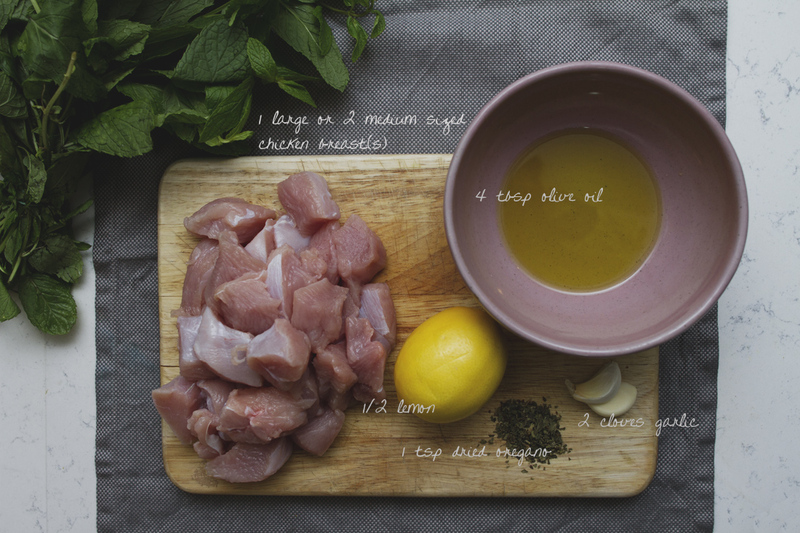 Start by mixing all the chicken kebab ingredients together. 2. 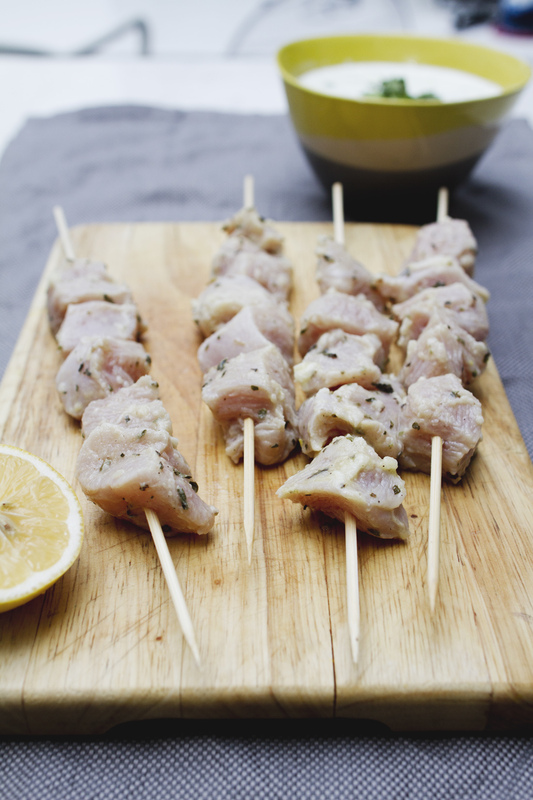 Skewer marinated chicken chunks onto the wood sticks and put aside in the fridge. 3. 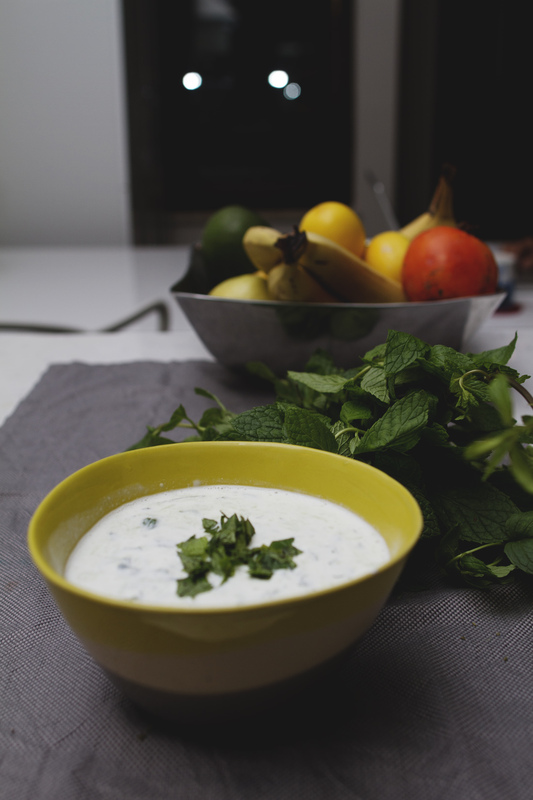 In the meantime make tzatziki sauce by combining all ingredients in a bowl. 4. 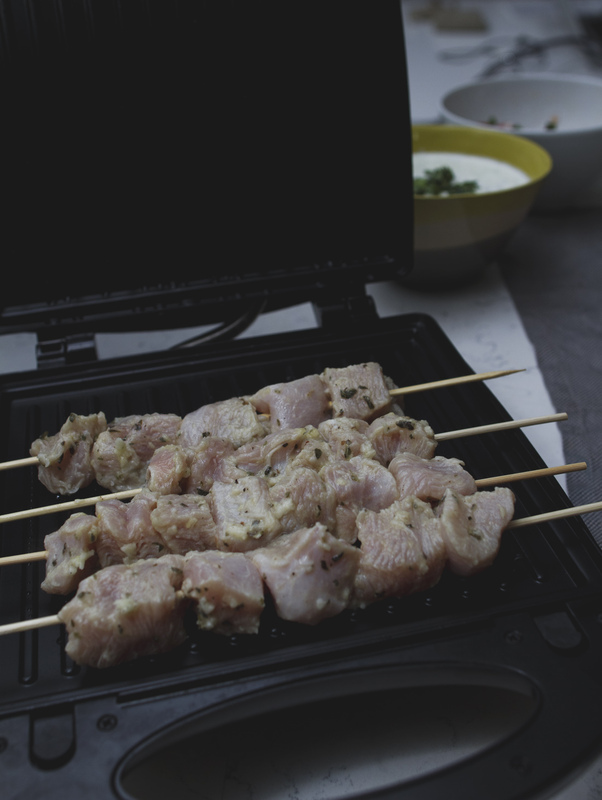 Heat the grill (either a grill machine or if not, you can use a grill pan), add a bit of olive oil. 5. For the grill machine: put the chicken skewers on the pan, the wood sticks will point out over the ends. That’s ok. Close the top. Grill until golden brown outside. 6. 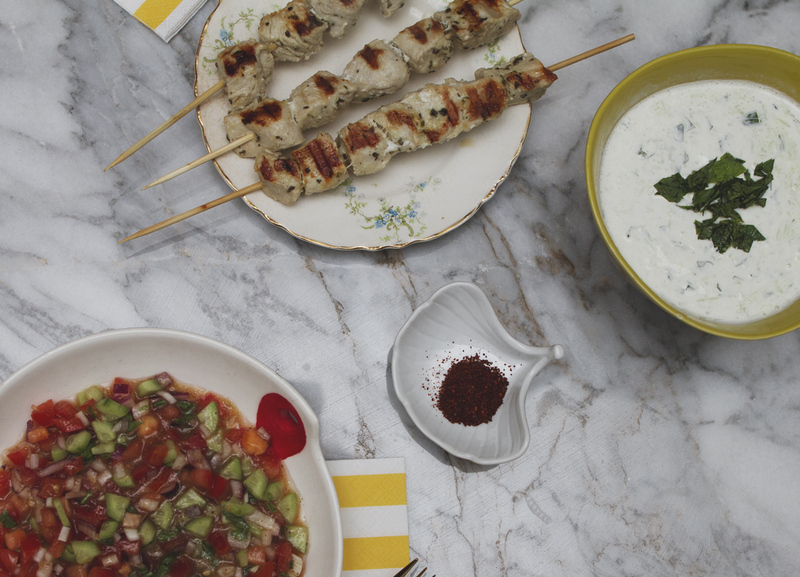 Serve chicken with tzatziki on the side. Posted in meatTagged chicken kebab, chicken kebab recipe, chicken recipe, dinner ideas, dinner recipe, fatfree eating, food ideas, glutenfree, healthy eating, how to make kebab, international food, kebab, kebab recipe, turkish food, what to cook, what to cook with chickenBookmark the permalink.